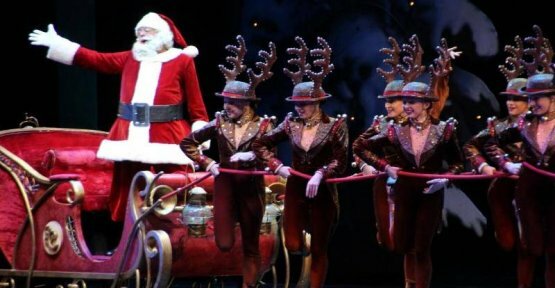 With the Premiere of their traditional Christmas show has opened for synchronous leg swings, a prominent New York city dance troupe the Rockettes for the Christmas season. In front of hundreds of spectators, the dancers presented in New York her Show "Christmas Spectacular". The traditional Christmas show has been running since 1933, every year. This time, she got but with the help of light drones, which were over the heads of the audience to new Patterns, a new, modern end. Among the 80 dancers, the 25-year-old Danni Heverin, who spent as the daughter of a US soldier as a young girl in Germany for several years. "I have wonderful memories of the Christmas season in Germany," she told the German press Agency. "We went to the Christmas markets, for example in Heidelberg or Idar-Oberstein and I had a gingerbread heart around her neck. That was beautiful." This year's Christmas show of the Rockettes is until 1. To see January 2019.